Hayward, California, May 8, 1942. 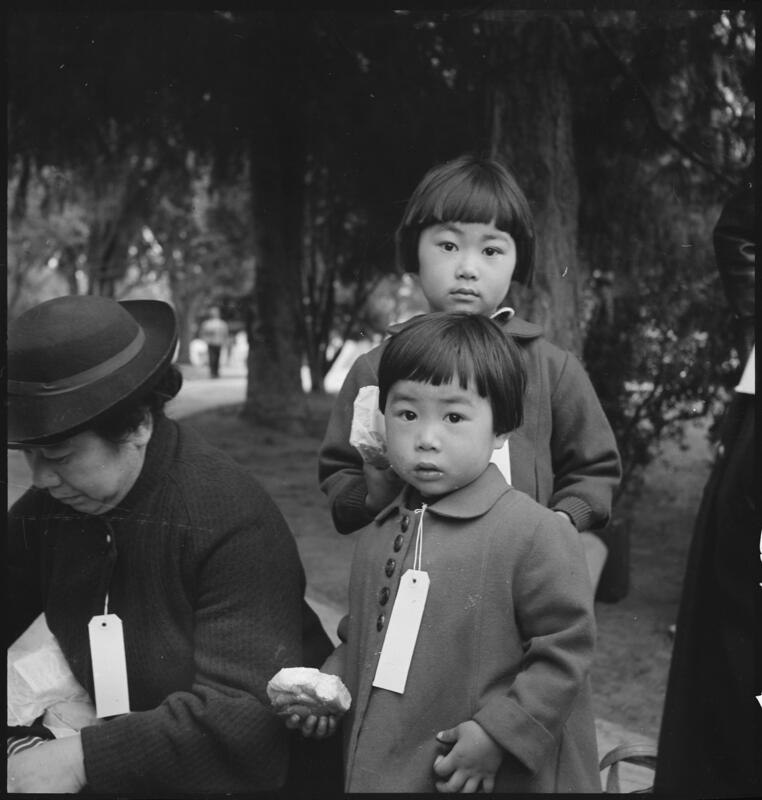 Two children of the Mochida family who, with their parents, are awaiting evacuation bus. The youngster on the right holds a sandwich given her by one of a group of women who were present from a local church. The family unit is kept intact during evacuation and at War Relocation Authority centers where evacuees of Japanese ancestry will be housed for the duration. (Photo by Dorothea Lange). Hayward, California, May 8, 1942. Two children of the Mochida family who, with their parents, are awaiting evacuation bus. The youngster on the right holds a sandwich given her by one of a group of women who were present from a local church. The family unit is kept intact during evacuation and at War Relocation Authority centers where evacuees of Japanese ancestry will be housed for the duration. (Photo by Dorothea Lange). This image is a work of an employee of the United States Farm Security Administration or Office of War Information domestic photographic units, taken as part of that person’s official duties. As a work of the U.S. federal government, the image is in the public domain in the United States.